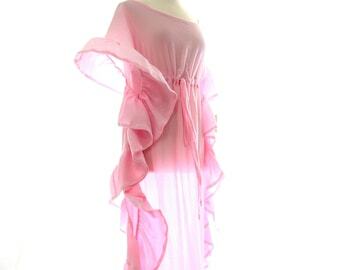 An easy, breezy caftan maxi dress from Mademoiselle Mermaid packs light and looks chic, perfect for a cruise, island getaway, or summer vacation!! 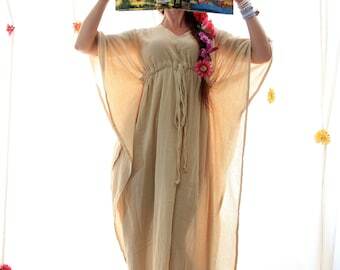 Gorgeous and cool as a beach cover-up...or wear it over a slip for a perfectly effortless tropical evening ensemble. This is a fantastic silhouette that looks as stunning with a pair of heels as it does with sandals at the beach. -Custom. Choose your height/size combo from the dropdown menu when ordering. -Side slits from the knee down.